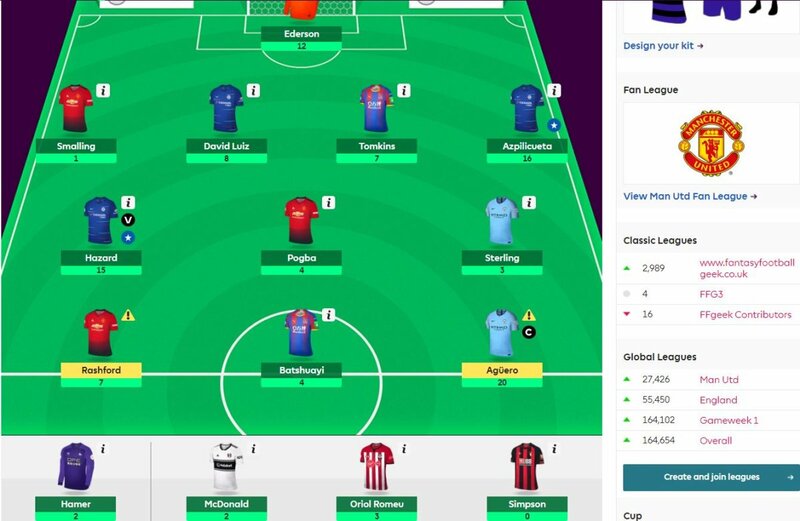 So I went through my team points in some detail in my early FFGeek team article so I won’t repeat everything here. In essence a 44k green arrow to 164k OR breaking a run of 4 red arrows. It was stressful though hoping that Chelsea would hold onto their clean sheet v Brighton. £0.9m in the bank and 1 free transfer. 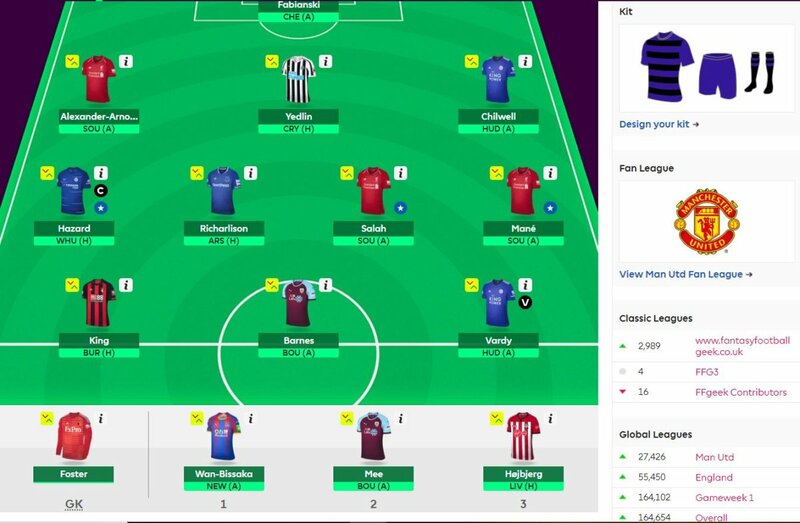 So I’m wildcarding in GW34 and bench boosting in GW35 and then possibly triple captaining in GW36 for Liverpool v Huddersfield. That means for all intents and purposes this is a one week only transfer so I only really need to consider this gameweek and nothing more. So the last transfer is the one I’m going with. The question was which of the 2. I was set on Wilson but when I looked at my player rankings they were actually every even so I looked at them as a comparison a little closer If you look at last weeks form tables and my forward player rankings there is very little between them. Wilson is the more consistent returner whereas King seems more fits and starts. I also looked at their underlying stats graphs and to me, either at home or overall, Wilson has been on a bit more of a downward curve compared to King who looks like he’s rising out a bit of a slump. Wilson has the better average underlying stats overall but if you look at home games against non top 6 sides then King has the better average and seems on a better trajectory . King also has pen duties which is helpful. However lets not kid ourselves this really means little in a one off game where it’s going to be a matter of how the dice rolls but in the end I went for King. Reasonably straight forward. Wan Bissaka first sub, Mee second and Hojbjerg 3rd. Bit late now for this week but with so many planning to WC wk34 and BB DGW35 I am sure there will be at least one article for next week..